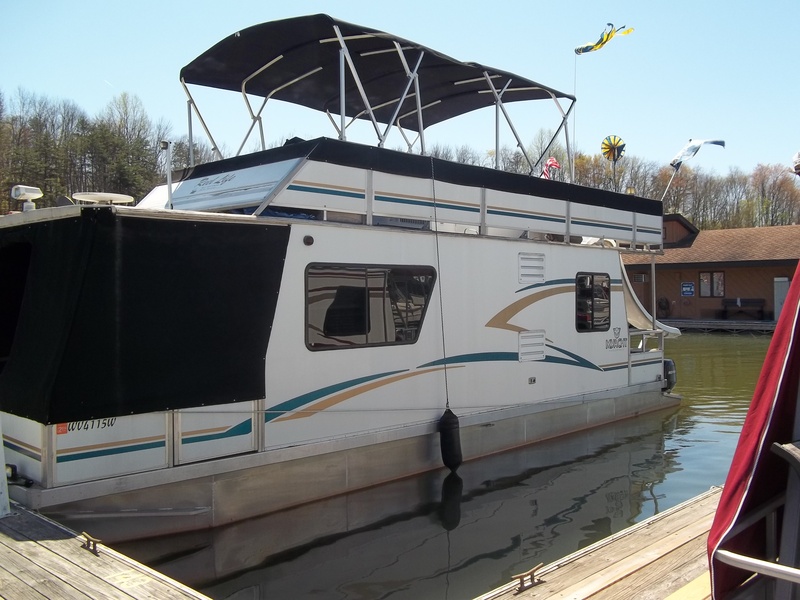 I can’t believe how good the bimini top looks on our houseboat. we were able to install it ourselves in just a few hours. It looks so good, we have other people who wanted to know where we got it, so I told them You might notice a small surge in business from Iowa. Thanks so much for the beautiful top, we love it and the workmanship is excellent. 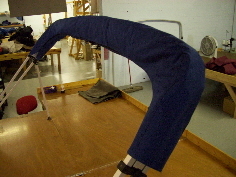 Wow, I am very impressed with your speed, both with your initial production and with this adjustment. Combined with your quality and communication I will, without question, recommend your company first when talking to others about their canvas needs. 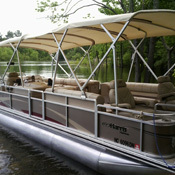 Thank you again for an excellent Bimini top. We just arrived home after needing to be away for some family health concerns, and found your shipment(s) waiting for us. Wow! We are really happy with how everything looks, and appreciate the care you took in crafting the work. My wife is a seamstress, and especially understands the quality and integrity of your work. 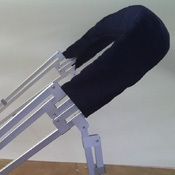 Great solution for the chafe point on the companionway cover! Opening up the boxes and seeing such excellence and care gave us a real boost, especially after a pretty difficult week. I’m putting a lot of effort in to restoring our old boat, so it’s great to be able to look forward to installing your fine work on her. We will certainly take pictures when we’re done (it will be a while…), and let everyone know how to contact your company. Thanks again for your exceptionally fine work, and for working with us on this project. Great product, great service! I recommend this seller! Great item as stated. Item was pack tight. Shipping was quick. GREAT SELLER!!!!! Very well made!!! Fast shipping!!! Excellent seller!!! Would buy from again!!! Perfect! Exactly what I needed! Fast communication and shipping! High Quality! AWESOME!!! Really nice top,will recommend to friends. Thank you. very nice product. good people to deal with. will recommend to friends. Just as described and 70% cheaper than buying locally. 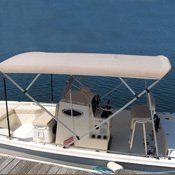 Northstar Canvas Products designs and manufactures top quality bimini tops for pontoon boats, runabouts, and houseboats. 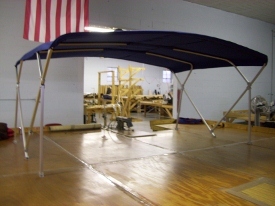 All Made in the USA, we pride ourselves on the quality of our product and our focus on customer satisfaction. 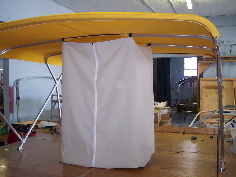 We've been building canvas for the marine industry for more than 35 years - and we put all that experience to work with each top we build. 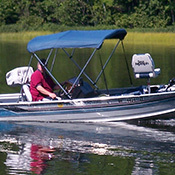 You will not find a better bimini top on the market today. © 2015 Northstar Products Inc. All Rights Reserved.